Watch 12 Monkeys Season 2 Episode 3 online via TV Fanatic with over 1 options to watch the 12 Monkeys S2E3 full episode. Affiliates with free and paid streaming include Amazon. 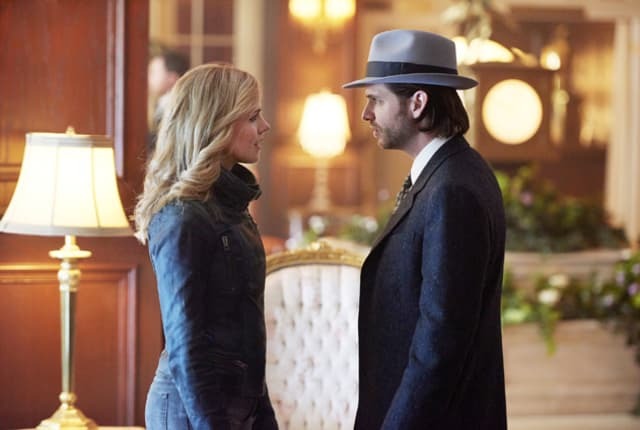 Cole and Cassie travel to 1944 to track down one of The Messengers on 12 Monkeys Season 2 Episode 3. Can the two put their differences aside long enough to stop an assassination attempt? Cassie: Oh my god, you like it here. Cole: What's not to like? Permalink: Oh my god, you like it here. Last night's data showed these anomalies multiplying in the time stream. An increase of 80%, these levels are unprecedented. It's almost as if the structure of spacetime is collapsing onto itself.